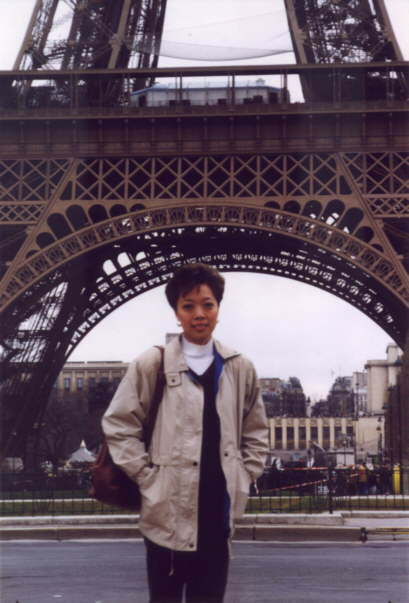 Here's Zorana in front of the Eiffel Tower. We were too close to get a full picture of the Eiffel Tower and have Zorana in it, too. But, I'm sure that you can tell it's the Eiffel Tower in the background. I think that Zorana liked Paris more than London. One day definitely wasn't enough time to do anything more than whet our appetite for the City of Lights.